Creativity started at an early age! As a teenager, I was always drawing and crafting, often experimenting with different techniques and materials. Fashion however, has always been my preferred passion. 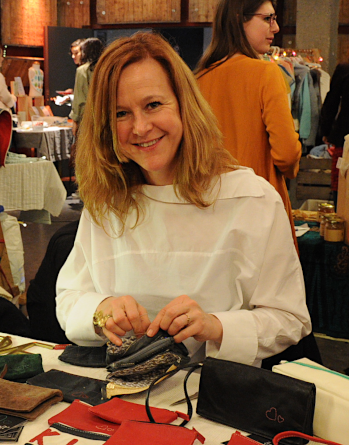 I had made garments by the age of 13 and my first “recycled” bag came out of old jeans and leather boots a year later. I love creating and wearing my own fashion pieces and I have naturally gravitated towards contemporary art & form. A few years ago, some old leather goods and a second-hand raincoat inspired me to create recycled bags for friends. Later, small leather pouches made out of an old jacket followed. Created with the heart, crafted by hand, HEARTcraft saw the light!